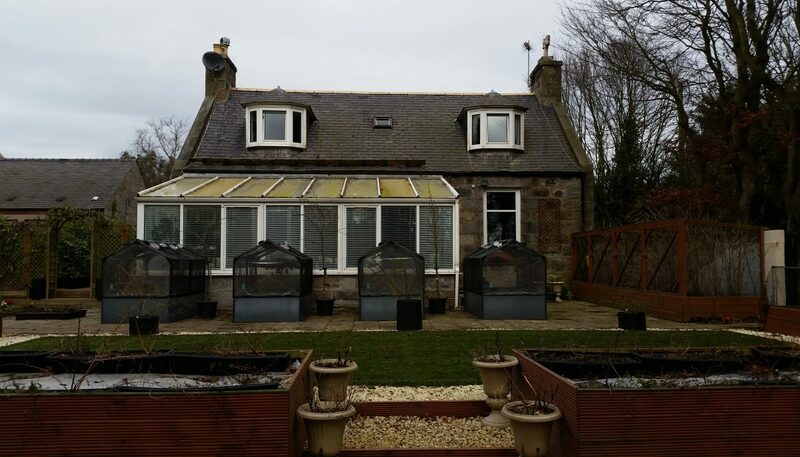 The latest project to go on site at McGregor Garrow Architects, this house extension project sees the removal of an existing, and outdated conservatory, to be replaced with a large modern extension providing an open plan Kitchen/Dining/Living space. 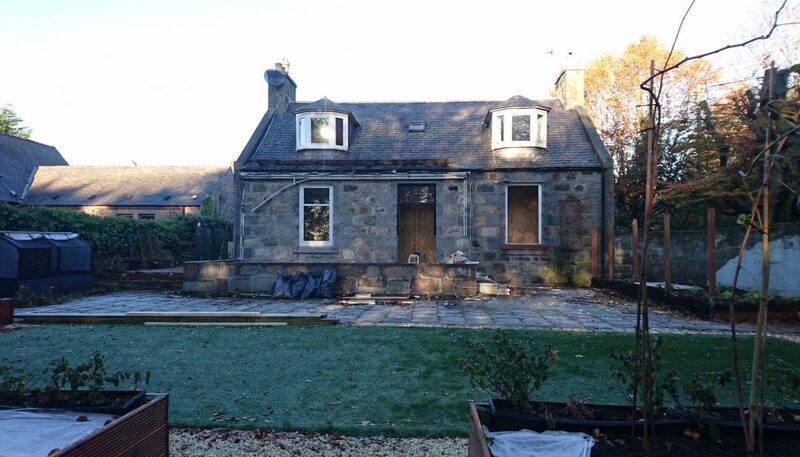 The groundworks were completed over the Christmas holidays (keen builders!) and the rear wall was removed, with 10m long steel beams installed to support the new opening. 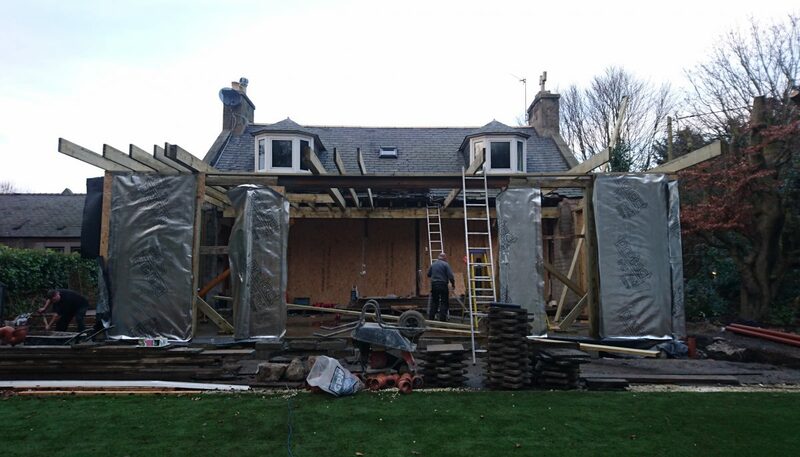 The kit has been erected and the roof is currently being installed. 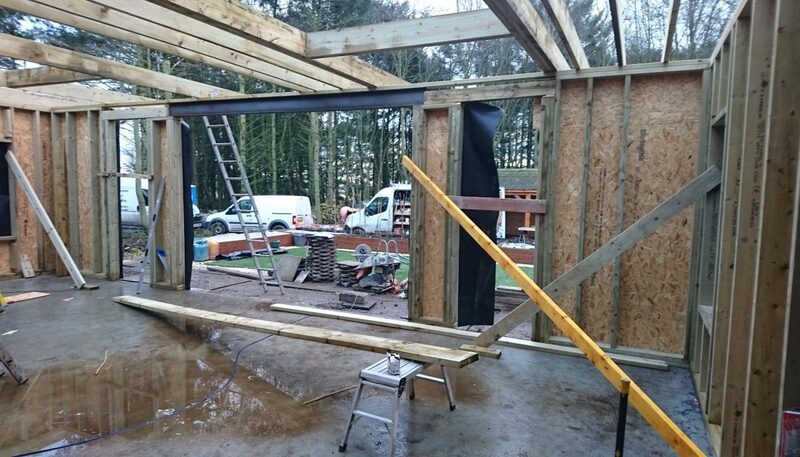 Once the extension is wind and watertight the temporary partition will be removed to allow the internal alterations to be carried out. 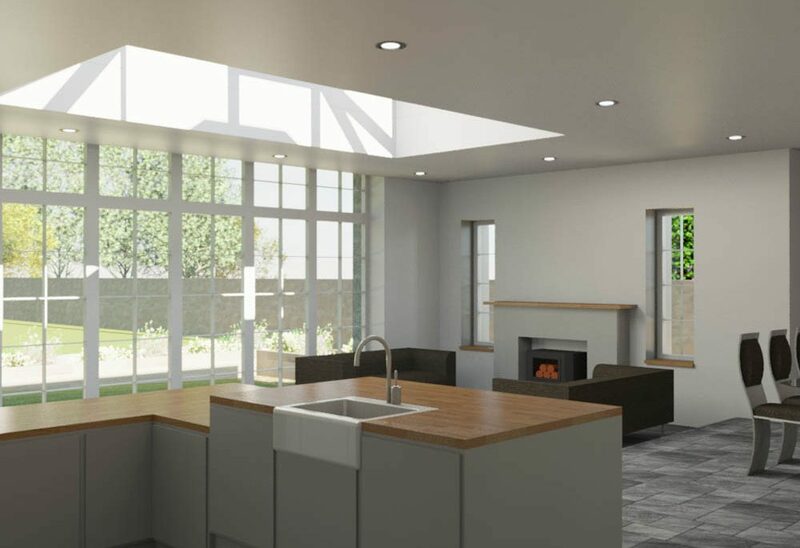 The client is living in the house while the work is being carried out so careful consideration is being given to the order of works to allow them to keep the existing kitchen up and running as long as possible. 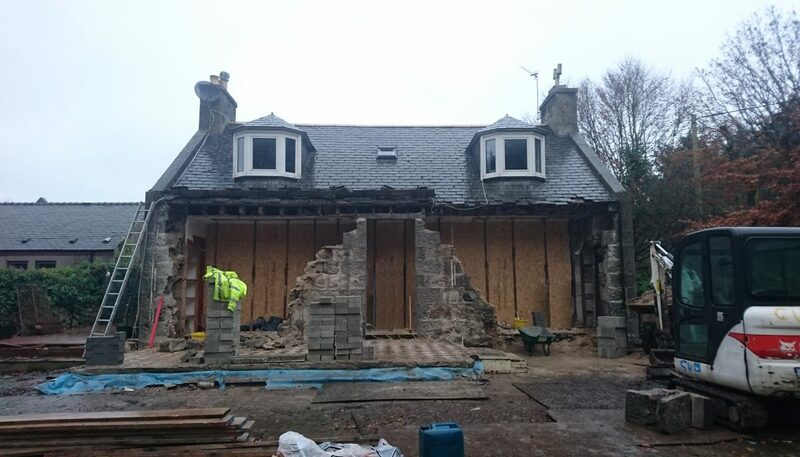 The granite from the downtakings is to be re-used in the formation of the new walls, supplemented with timber cladding, and Nordan windows and doors are to be fitted into the newly formed openings. 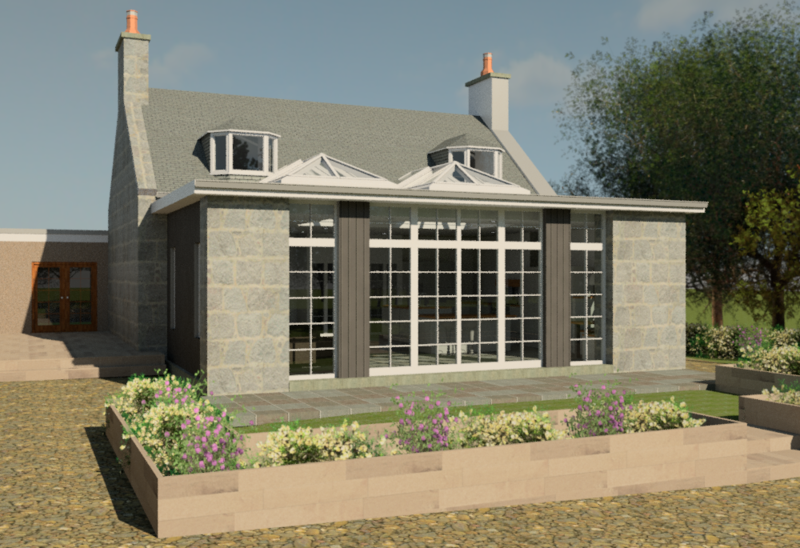 The rendered visualisations, which were produced at the Feasibility Stage, demonstrate how the extension should look upon completion. 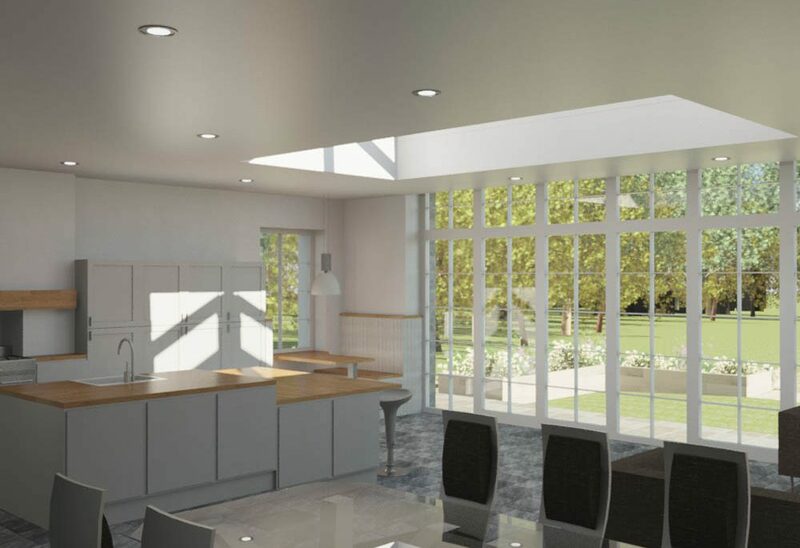 Wanting to extend and improve your existing house? 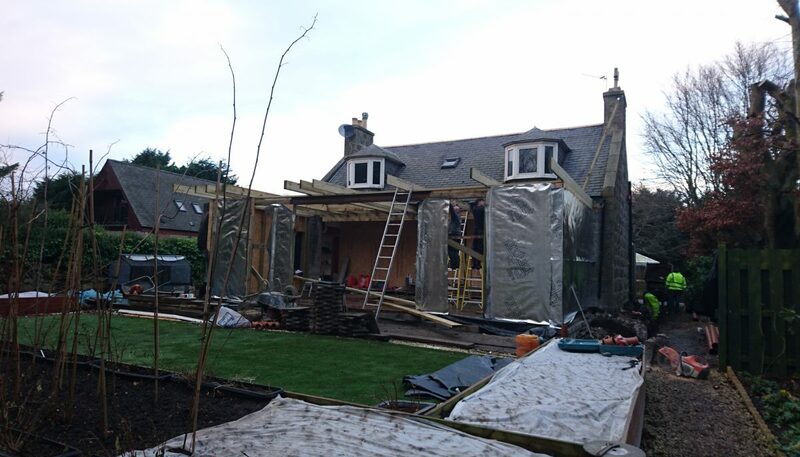 If you are considering a similar extension, or would like to discuss any building project, please Contact Us to arrange a free consultation.